Modern technology may have made our daily lives easier. Some would say it has even beautified our lives through the capacity it gives us to innovate. However, looking at the downside, one can easily see how the wrong implementation of even basic technologies destroys the natural beauty of a “less-developed” life. Air-conditioning compressors bursting out of buildings, once stunning in their architecture; or a once captivating roof-top view of buildings in Cairo, tarnished with horrendously scattered satellite dishes. One man sees this more as an opportunity rather than a misstep. 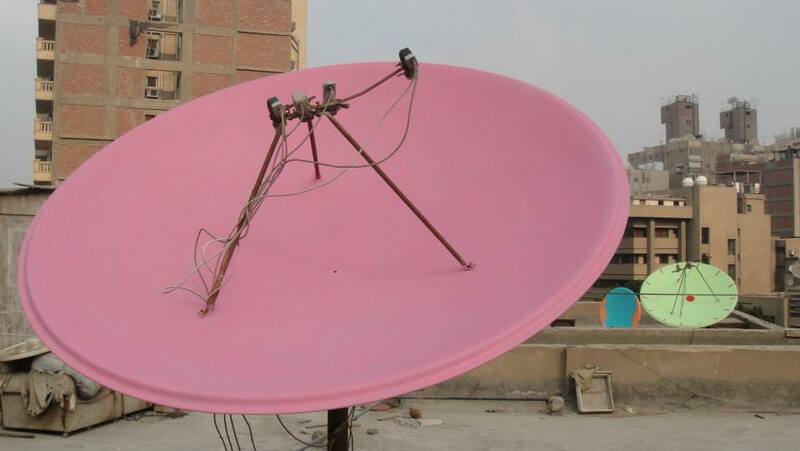 One artist decided to colour all those depressing grey satellite dishes, creating a cheerful pastel above Cairo’s buildings. Ard El Lewa, in the heart of Giza, saw this man take to the roofs and beautify that once gloomy top view. We searched around the area, asking locals for information about that artist, and they told us that a foreign artist and his friend launched this initiative, but unfortunately, it is yet to spread out of the area into other places in Cairo. Despite our best efforts, we couldn’t find any precise answer from the locals, only to later find it here, on our own website. 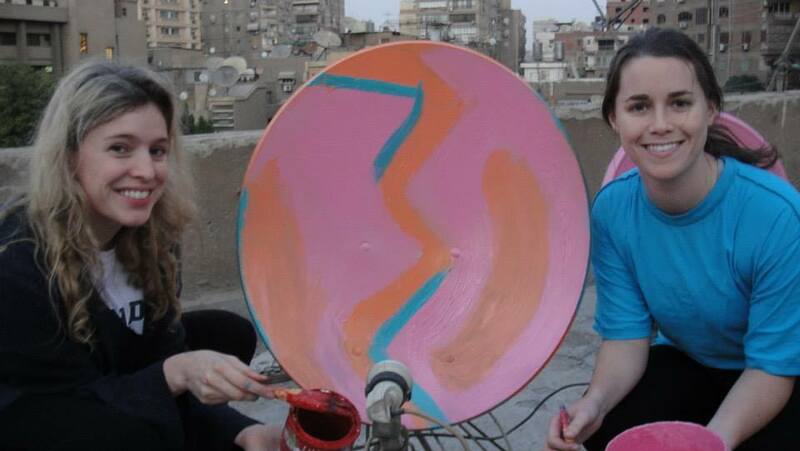 You see, in 2014, we published an article about this initiative, and we wrote that the man behind it is author Jason Stocking, who imagined that Cairo would look more beautiful with coloured satellite dishes. Joined by his friend, Lesley McAllister, Jason launched this initiative from the art centre called Art El Lewa, where they lived for three months. Unfortunately, the centre is now closed. Despite all of these challenges, the project took Ard El Lew by storm. “We started by the satellite dishes on the roof of the building we lived in. We opted for cheerful colours such as yellow, orange, green, and purple. Children watching us from the balconies of other buildings were a great support, this alone drove us to keep going.” Stocking recorded some of these moments here. If you like this idea and are interested in trying it yourself, Stocking advises you to use lead-free colours, non-metallic ones, because those can disrupt the signals. He prefers using strong light colours because these last longer even with the dust settling on it. He also warns against painting over the metallic part that holds the dish. Unfortunately, Jason and his friend have left Egypt, but their colourful impression still leaves a mark on Cairo streets. On behalf of all the Cairo360 team, we’d like to thank Jason and Lesley for giving us quite a cheerful gift.